The Brazilian Senate voted 61 to 20 to impeach suspended President Dilma Rousseff on charges of mishandling and misrepresenting the federal budget during her 2014 reelection campaign. Rousseff will now formally resign from the presidency and Vice-President Michel Temer, who held her post in the interim, will now serve out the rest of her mandate until 2018. But Temer, and his Democratic Movement Party, is embroiled in corruption charges and investigations as well. Many of the ministers he named in the new government have resigned since Rousseff’s suspension in May because of the pressures and feared scandal of a number of graft investigations. He isn’t much more popular than Rousseff. Polls have shown that a majority of Brazilians do not want him to serve out Rousseff’s mandate; rather, they would like to see early elections. For Rousseff, in the meantime, following her resignation she will not be sentenced to jail but could be banned from holding public office for a period of eight years. Ironically, Temer is also facing charges of breaking campaign financing laws and could face a similar eight-year ban. While Rousseff has vowed to fight for Brazil and democracy, she now has two options. She can either appeal the impeachment vote to the country’s highest court – the Superior Court of Justice, but the likelihood of success is slim. She had hinted in previous interviews that she could retire to private life in her home in Southern Brazil. In the meantime, the impeachment trial has deeply divided Brazilian society. Protests since May erupted once again earlier this week and turned violent. There are some who believe she is to blame for Brazil’s recent reversal of fortunes, while others say impeaching her won’t really save the economy. get on with it and leave the office you … you failed… you have failed at the one opportunity you had to make a major impact for those in your country… and you failed… now my only prayer is that you suffer the regret and guilt that you should feel at your very core. Mrs Dilma Rouseff’s impeachment was all orchestrated between American and Brazilian intelligence. 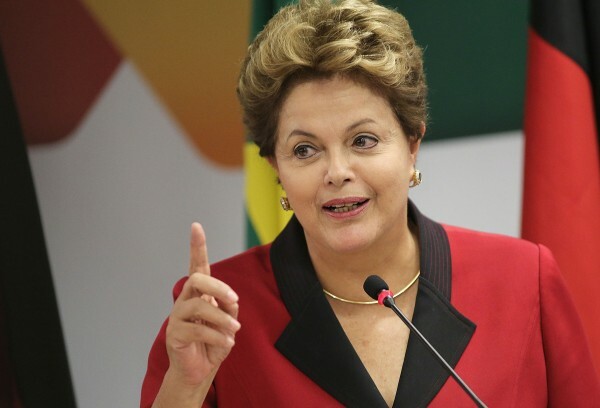 How will her impeachment affect Brazil’s economic rout and the BRICS? It is clear that sinking America doesn’t want to lose her best vassal to BRICS! My country (Brazil) might is growing, but is not. All the fault of Dilma in which he made an economic disaster, the worst of it was ridiculous attempt at hiding it trying to manipulate the public accounts. I’m happy with his impeachment!